What's going on with Huawei? Chinese telecoms giant Huawei has been the focus of international scrutiny, with several countries raising security concerns about its products. Then on 1 December, the company’s chief financial officer was arrested in Canada. A bail hearing is expected to take place on Friday. It has now been reported that Japan’s government will stop buying equipment from Huawei, and rival Chinese manufacturer ZTE. What are countries worried about? There are fears that China is using Huawei as a proxy so it can spy on rival nations and scoop up useful information. Huawei has said it is independent and gives nothing to the country’s government, apart from relevant taxes. Critics question how free any major Chinese business can be from Beijing’s influence. They point out that its media-shy founder, Ren Zhengfei, was a former engineer in the country’s army and joined the Communist Party in 1978. Huawei is keen to portray itself as a private company owned by its employees with no ties to the Chinese government beyond those of a law-abiding taxpayer. It can also lay claim to being one of the biggest spenders on research and development. It invested more than $ 13.2bn (£10.3bn) in 2017 and has said the figure will be even higher for 2018. But critics fear that the Chinese government could order the firm to modify its devices to help hack attacks, eavesdrop on conversations or gain high-level access to sensitive networks. There are questions about whether China would allow a technology firm that has been deeply embedded in rival nations’ infrastructure to remain independent. Huawei is now the second biggest smartphone-maker in the world. Which countries have taken action? The UK has not enacted a ban on the use of Huawei equipment. However, the firm’s products are regularly subjected to security testing by the UK’s GCHQ intelligence agency. The co-operative agreement between the UK and Huawei includes a facility nicknamed the Cell in Banbury, Oxfordshire. There, staff employed by Huawei but answering to GCHQ look for security flaws in the company’s products. The last report GCHQ produced said it found “shortcomings” in products that meant it could only give “limited assurance” that the firm posed no threat. This week, the Financial Times reported that Huawei had agreed to a series of technical demands by GCHQ that would harden its products against attackers. 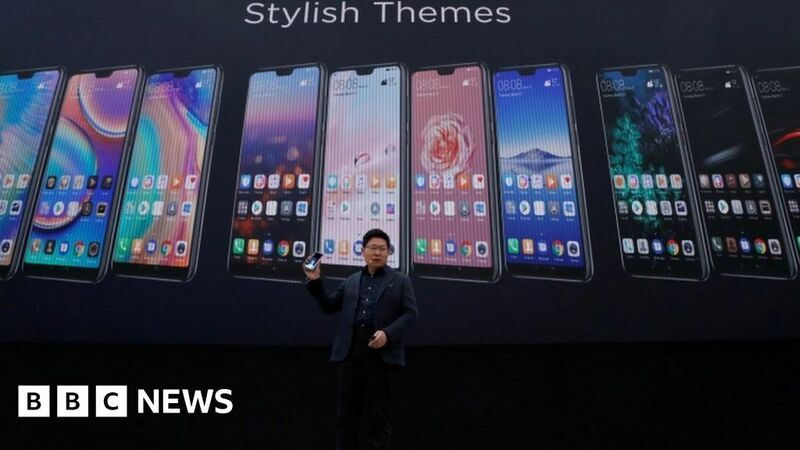 Huawei said the changes came from its co-operation with the UK and did not signal that it had “caved in” to UK demands, as the Financial Times had said. Why was a Huawei executive arrested? Huawei’s chief financial officer Meng Wanzhou was arrested while transferring between flights in Vancouver. The reason for her arrest has not been revealed. It has been suggested that the arrest is related to claims that Huawei has violated US sanctions against Iran. While Huawei is a Chinese company, it may have ordered parts from the US and included them in products manufactured in China, which were then sold to Iran. In a statement, Huawei said it had not been told why Ms Meng was arrested. It said: “The United States of America seeks the extradition of Ms Meng Wanzhou to face unspecified charges in the Eastern District of New York. “The company has been provided very little information regarding the charges and is not aware of any wrongdoing by Ms Meng. The company believes the Canadian and US legal systems will ultimately reach a just conclusion.